Pink to Green: Come On Baby Light My Fire! 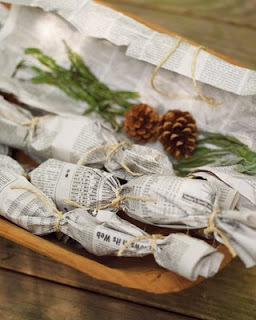 If I were anywhere near a fireplace this holiday season, I would be sure to have one of these herbal fire starters! Check out the easy instructions over at Haute Nature. Wouldn't they make a memorable and green hostess gift?